can 1 person have too many calendars?? i have my monthly calendar + my weekly calendar in my diy cereal box planner. it works & i love it! but i’m really the only one who sees it – my husband has no idea what’s going on unless i remember to tell him. so i made this calendar to stick up on our fridge so he can see what’s happening everyday before he heads off to work in the morning. then i keep the same info + all my own lists of to-dos and other important reminders in my own personal planner. sweet deal. and here’s another sweet deal – you can download it for free! 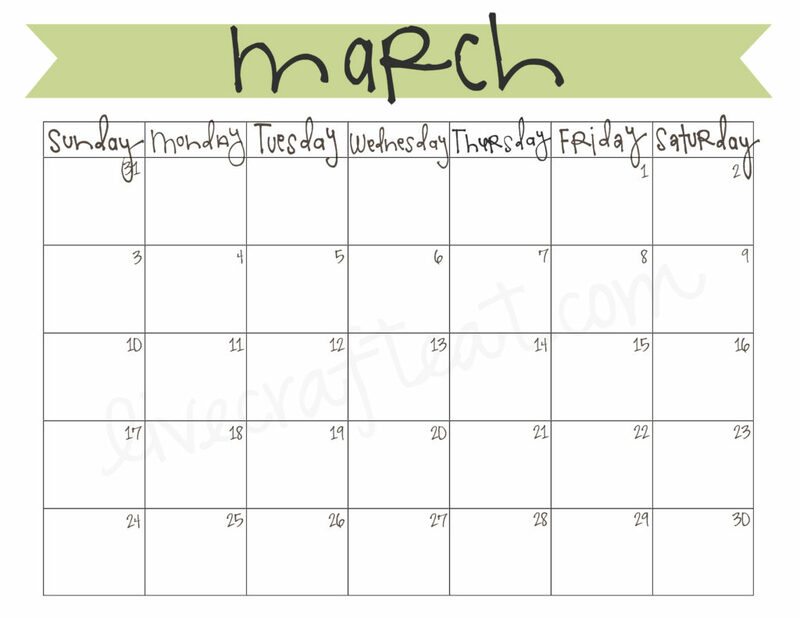 here’s the march 2013 calendar. i’ll have a new one available every month, so keep checking back for your free monthly printable calendar! 🙂 (psst…you can subscribe to my blog and/or follow livecrafteat on facebook and then you’ll know exactly when the new monthly calendar gets posted. awesome!) enjoy. Thank you! I was needing one. Love the colour green you chose. I like the green too. I printed it out and it’s on my fridge. So helpful (and cheaper than buying one at the store). Thanks!